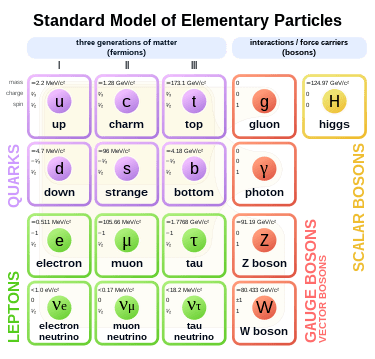 CDF and DZero discovered the top quark in 1995 from proton-antiproton collisions that produced the top quark together with its antimatter partner, the antitop quark. It took 14 more years for the same collaborations to announce the observation of a top or antitop quark produced without the other. Why the long delay? The main reason has to do with the features of events with only one of the massive quarks. Single-top events are remarkably similar to other more common types of events, and the lack of a clear separation between the single-top signal and other backgrounds made it very difficult to tease it out. In this single-top quark analysis at CDF, we selected events with the following characteristics: a lepton (either an electron or a muon) with high transverse energy; a large imbalance of transverse momentum, which indicates the presence of a neutrino; and two or three jets, at least one of which must originate from a bottom quark. The two main backgrounds are a W boson plus a bottom or charm jet and a W boson plus an up, down or strange jet. 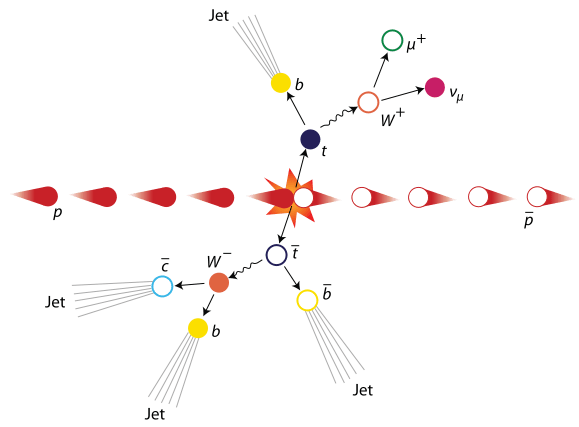 Other backgrounds include a Z boson plus jets, top-antitop pairs, two-boson events and events in which a jet has been misidentified as an electron or a muon. After applying event selection requirements, we found that the sum of the backgrounds was still about 15 times larger than the signal. Thus, we needed a thorough understanding of the backgrounds to bring the signal to the fore. The solution was to use a set of artificial neural networks. Using a few variables that describe the properties of the events, such as the reconstructed top quark mass and the transverse mass of the reconstructed W boson, we trained the neural networks to separate the signal from the backgrounds. This process is similar to how neurons in our brain work when we engage in pattern recognition. After applying the artificial neural networks in our analysis, we measured a single-top quark cross section of 3.04 +0.57/-0.53 picobarns. There are three processes for the production of single top quarks: s-channel, t-channel and associated Wt production. An important feature of this measurement is that we use a next-to-leading-order event generator for the first time to properly include the Wt contribution. In addition to the combined single-top cross section, we also extract separate values for the s-channel process and the sum of the t-channel + Wt processes, as shown in the figure above. The measurements are fully compatible with predictions of the Standard Model.